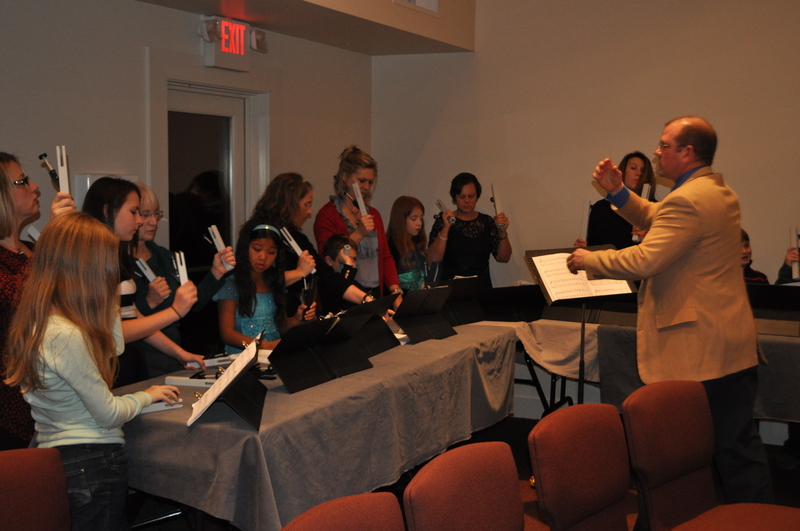 The Spirit Singers, our vocal choir, performs both classical and contemporary choral ensembles. Our choir's goal is to spiritually uplift and lead the congregation in Christian musical development. To accommodate busy schedules, the Spirit Singers meet in concentrated cycles from October through Christmas and from Lent through Easter. Rehearsals are Wednesday or Thursday evenings. Performances are weekly on Sunday mornings and for special holiday services. Congregation members or visitors who play musical instruments are always welcome to participate within the worship service by accompanying hymns and choir anthems or providing prelude or postlude music. If you're interested in joining either one of these groups, choir or chimes, please contact Liz Quade or John Ruggieri through the church office.